Community meetings are being held around the city this week to discuss concerns over lead levels in light of the recent news that some Chicago Public Schools were found to have dangerous levels of lead in their drinking water. Experts from around the country are in Chicago this week for the annual American Water Works Association conference at McCormick Place, while talk about the water crisis in Flint, Michigan has concerned parents, activists and community members who wonder if the same thing could happen in this city. It’s not so much the elevated amount of lead in water that is significant as it is the blood lead level because water levels depends on how much you actually drink, says Dr. Susan Buchanan, director of occupational medicine residency at University of Illinois at Chicago School of Public Health. The blood level measures what’s actually in your body, she says. Dr. David Jacobs, an expert on lead poisoning, says that lead levels in schools are probably not playing as much of a role in health issues as much as a child’s exposure to lead in their homes and in the soil in which they play. What’s frustrating, Jacobs says, is that scientists know what the problems are and what the solutions can be, so there is no good reason to drag these issues on to the next century. According to Buchanan, the neurological problems that the medical community sees because of high exposure is upsetting, and Chicago has more children with high blood levels than most other cities. There is a significant problem with paint hazards, water hazards and other exposure. Joining Buchanan and Jacobs to talk about lead and how concerned people should be about elevated lead leves is Dr. Julie Morita, the city of Chicago Health commissioner. 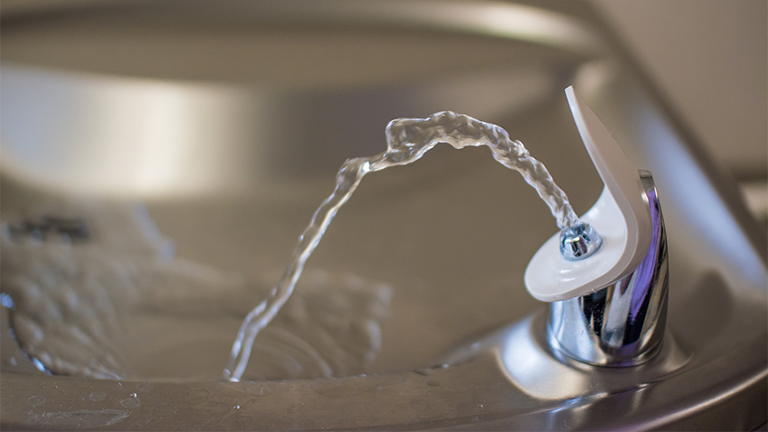 June 16: With more and more Chicago schools being found to have elevated levels of lead in their water, some Chicago aldermen are now calling for public hearings on the issue. June 9: Parents of students at more than a dozen Chicago schools are receiving notices that testing has found elevated levels of lead in water at their children’s schools. April 28: Lead levels in the water supply are getting nationwide attention after the ongoing crisis in Flint, Michigan came into the spotlight. Now, CPS says it will test for lead in the water at 28 schools, even though it's not legally required to. April 27: Mayor Rahm Emanuel announced Wednesday initiatives and services to reassure residents that Chicago's water is safe and lead-free. Feb. 18: The disaster in Flint has spotlighted the dangers and adverse health outcomes of lead seeping into communities’ drinking water. Elizabeth Brackett reports on the lead pipes carrying water into Chicago and suburban homes.